No one wants to undergo surgery, and the prospect of a long, painful recovery can make the procedure even more daunting. Thankfully, Dr. Marilyn E. Copeland, with the Fondren Orthopedic Group in Webster, Texas, offers arthroscopic surgery to treat your joint condition or sports-related injury with a brief recovery time and fewer complications than traditional surgery. 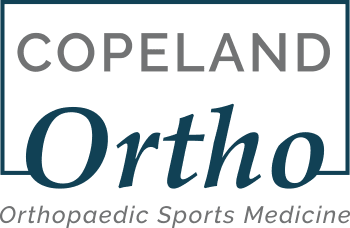 Dr. Copeland is board-certified in orthopedic surgery and sports medicine and treats patients throughout the Clear Lake and Greater Houston area. To learn more, call Dr. Copeland’s office or request an appointment online today. During an arthroscopic surgical procedure, Dr. Copeland makes a small incision where she inserts an arthroscope, a small tube with a tiny video camera. The arthroscope transmits images to a high-definition monitor, providing Dr. Copeland with a magnified view of the injury site. Dr. Copeland performs arthroscopic surgery using tiny instruments inserted through small incisions, allowing for precise movements and access to areas not easily reachable with traditional surgery. Who is a good candidate for arthroscopic surgery? How do I know if I need arthroscopic surgery? What can I expect during arthroscopic surgery? Because arthroscopic surgery is a minimally invasive procedure, Dr. Copeland makes several small incisions to insert the arthroscope and surgical instruments. During the procedure, you are usually asleep with anesthesia. After surgery, Dr. Copeland provides you with comprehensive recovery instructions and, if necessary, a sling or crutches to take pressure off the area while you heal. Depending on the severity and location of the injury, complete recovery can take several weeks. Arthroscopic surgery is typically an outpatient procedure, so you can return home the same day without worrying about a lengthy hospital stay. It also offers a much shorter recovery time than traditional open surgery, and because the procedure is performed through small incisions, you’ll have less scarring and a lower risk of complications. If you think arthroscopic surgery might be able to provide you with the joint relief you need, call Dr. Copeland’s office or request an appointment online today.